What do you do on a gorgeously sunny Bahamian day? 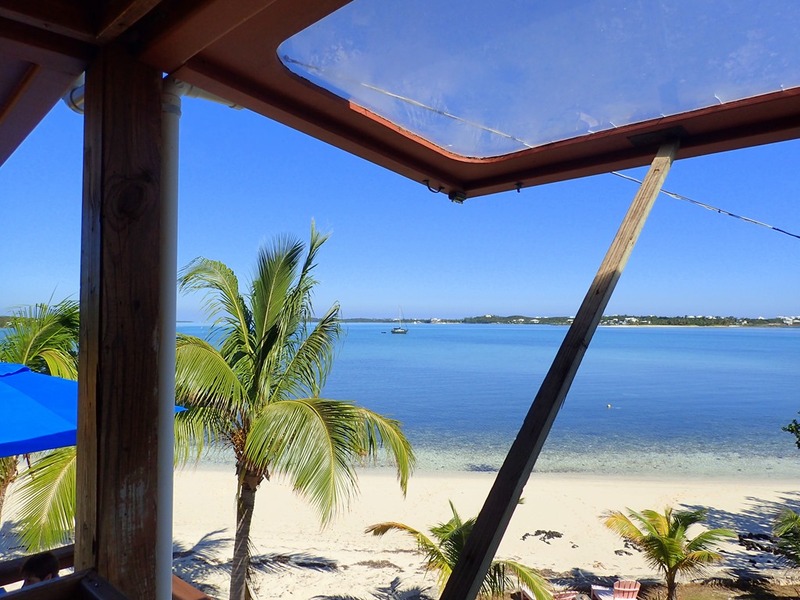 Go to lunch with 50 of your friends – at Cracker P’s Bar and Grill on Lubbers Quarters Cay, just west of Elbow Cay. 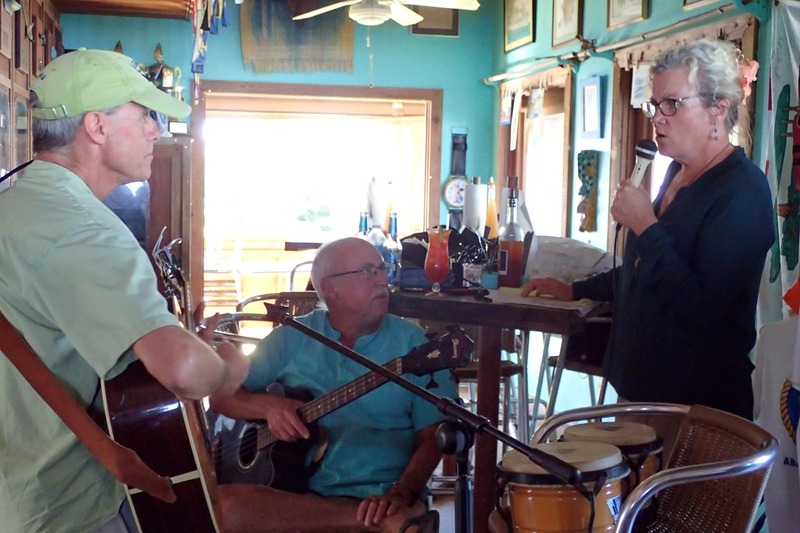 Members of the HopeTown Sailing Club descended on Cracker P’s via skiff and run-about, given the lack of wind for sailing. (We went from 35kt winds to zero in three days.) 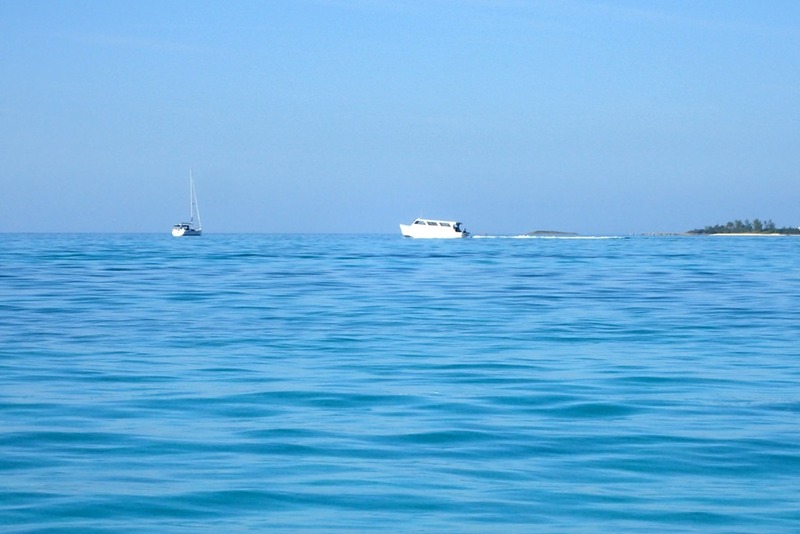 We hopped a ride on one of the boats, leaving HopeTown harbor southbound. 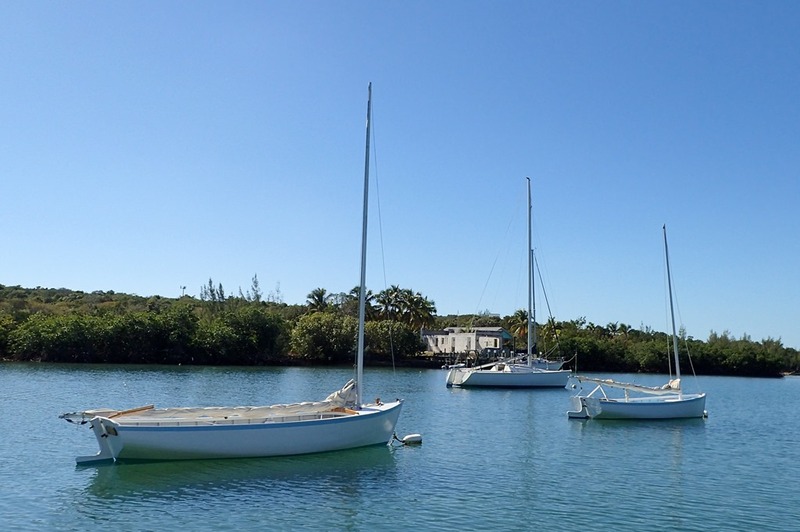 But first a stop to check out the Abaco dinghies moored in Fry’s Mangrove, a beautiful harbor south of the settlement of HopeTown. 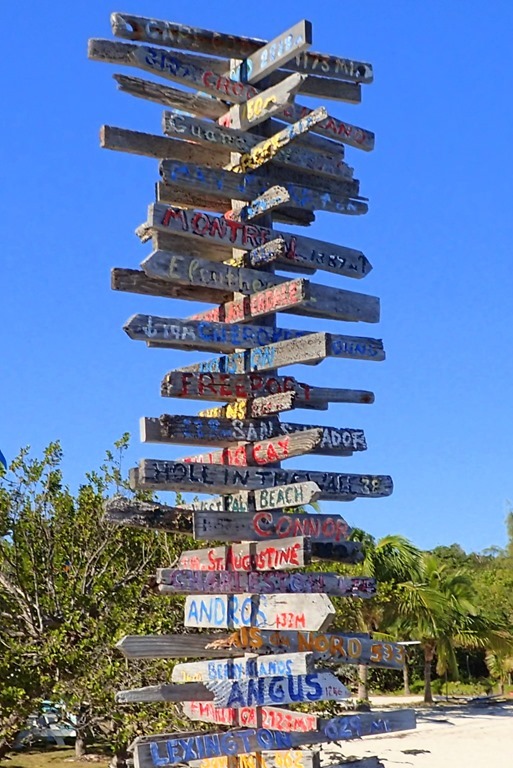 Tie up at the Cracker P’s dock and find your hometown on the stack of arrows. How far are you from home? 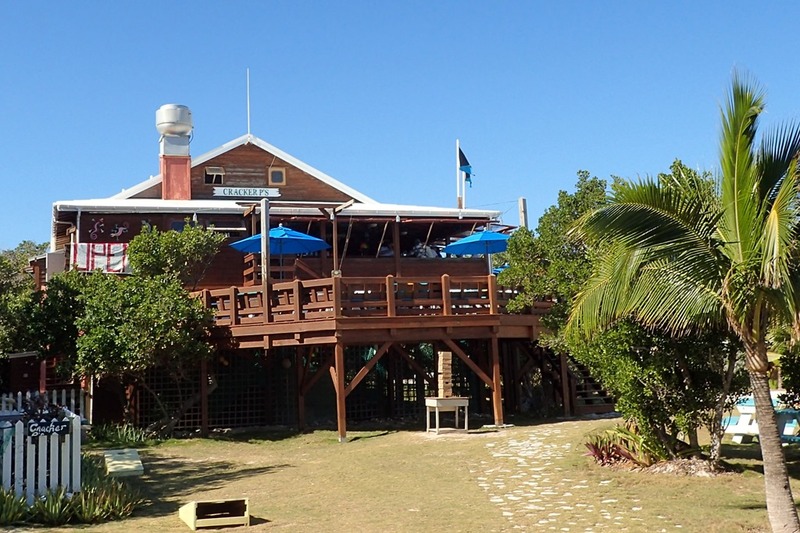 Then find a seat on the deck for great conch, fish, chowder, smoked fish, peas n’ rice, mac n’ cheese, and lots more, including a yummy fruity rum drink. What a view. HTSC members even provided entertainment – great music. 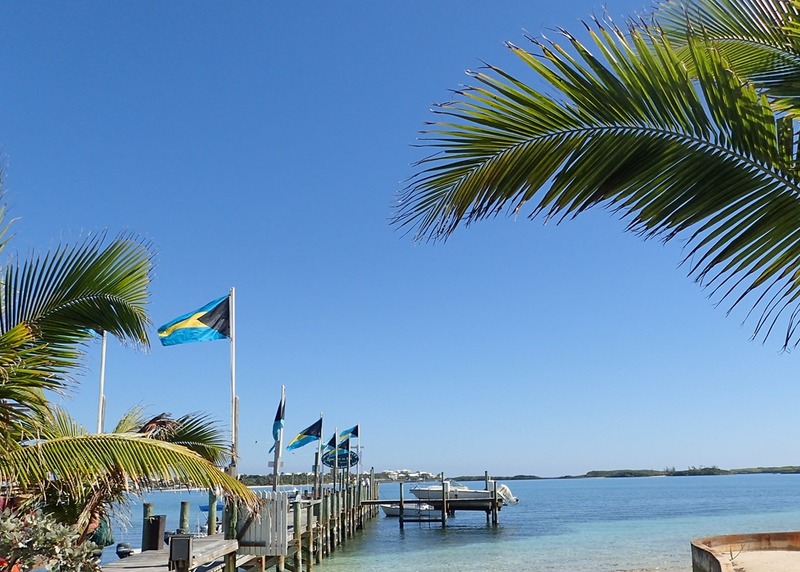 Spend the afternoon meeting some people you’ve seen around town, but never met; eating great food; and enjoying the view: the gorgeous blue-green water of the Sea of Abaco, Tahiti Beach and the Atlantic Ocean. We so enjoy your posts! Love the pictures as well as the narratives! Thanks for following our blog. And for commenting. I am following your journey on FB as well. Fun.